Co-founders Martha and Todd Lucier spent over nine years teaching in Ontario Schools before founding the Edge, and our goal is to present students and teachers with a wide variety of curricular and co-curriculum opportunities for experiential learning. We carefully review course content for each student group, creating unique experiences that directly link to learning outcomes. Year-round adventure retreats and canoe trips introduce students to Canadian wildlife, culture, and natural history. Enter our 120-year-old log cabin and meet historical figures that will tell stories about life in early Algonquin Park. Learn about the history of the Northwest corner of Algonquin Park including a window into the life of a park ranger – Tom Wattie, local stories of Canadian art icon Tom Thomson, stories of forestry and forest products produced in this area, and even tales of prisoners of war who worked in the Algonquin Park forest. Share a drumming circle around the campfire. In late March/early April, gather and boil sap to make and bottle your own Maple Syrup. Spring is a great time to learn about honey bees. Students can get hands-on experiences feeding the bees and learning about their role in the ecosystem. In autumn go hands-on with honey production! Memorable Canadian Wildlife, Culture, and Natural History trips in Algonquin Park are a great fit for International Youth Programs and English as a Second Language students, as well as students learning about Canadian History. Full program planning services match experiences to meet your school group or international youth group needs. Algonquin Park is a great place to bring your students for a health & wellness field trip at Northern Edge Algonquin. Our centre was founding on principles of wellness in mind, body and spirit and our approach to student programs is a wholistic one involving: food and nutrition, yoga and dreamtime, creativity, outdoor recreation pursuits and more. Begin with our nature-inspired Leadership Styles program with Earth, Wind, Fire, Air. Define leadership, why we need leaders, and identify the necessary traits for leadership at the local, national, international level. Learn about your own leadership style and those of others. Participate in a guided yoga/meditation practice and learn about the benefits of mindfulness on the brain and body. Review techniques to reduce stress and improve focus and peace of mind. Review and discuss basic First Aid principals. Discuss the types of First Aid courses available, the 3 different types of first aid kits and perform the role of first responder in an emergency first aid situation. Participate in a community rhythm circle. Discuss the importance of drumming across all cultures. Learn about different types of drums and instruments and create a community by engaging all participants in the rhythm circle. Explore outdoors with Canoe & Stand up Paddling recreation activities. Learn basic strokes and safety procedures, role of bow and stern persons, importance of clear communication. A variety of recreational activities is available including hiking, mountain biking in summer. Snowshoeing, skiing, ice skating, kicksledding and dog sledding in winter. Minga – Community in Action: Students go hands-on with a Northern Edge Community Project. Review the importance of community and community projects, and discuss the role of the engaged citizen and the types of community projects completed at Northern Edge. Learn about the healing power of quiet time in nature. Participate in solo reflection time and create a personal creative project as a personal reflection on the experience. Participate in lifelong activities that lead to health and vitality: mountain biking, hiking, paddling canoe and kayak, cross country skiing, snowshoeing. Learn the essentials to properly planning and participating safely in active outdoor experiences. Develop leadership skills by planning and participating in canoe tripping and camping experiences. 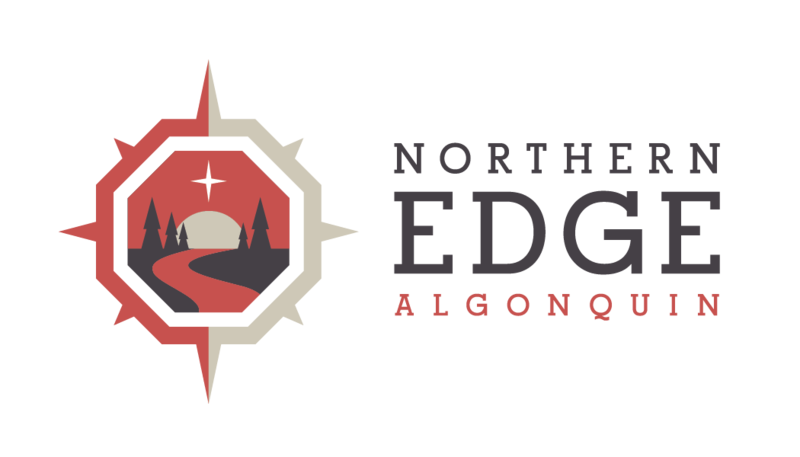 Canadian Geography (Social Studies) and Environmental Studies come to life at Northern Edge Algonquin, Algonquin Park. Schools that employ an approach to geography that focuses on helping students analyze and appreciate the connections within and between natural and human environments and communities. Social studies, history, geography, and Canadian and world studies programs visit the Edge to enable students to become responsible, active citizens within the diverse communities to which they belong. As well as becoming critically thoughtful and informed citizens students practice skills they need to solve problems and communicate ideas and decisions about significant developments, events, and issues. Students develop skills and personal attributes that can be transferred to all areas in life; building collaborative and cooperative working relationships with their peers at our natural campus. We specialize in working with teachers to achieve educational outcomes demanded by ever-changing curriculum – whether in one classroom subject area or by combining the needs of teachers to provide hands-on experiences that touch a variety of study areas. Diverse experiences beyond the walls at the Edge help all learners develop the knowledge, skills, and perspectives they need to become informed, productive, caring, responsible, and active citizens in their own communities and in the world. Gain a deeper understanding of science and its technological applications. Learn about our unique energy alternatives at our “off the Grid” facility. Design and create alternative life-sustaining environments. Learn how to develop policies and procedures that respect human impact on the environment. Develop skills in communication, interpersonal relations, leadership, teamwork, conflict management by participating in Quest for the Golden Compass. Team building challenges, role playing and seeking out the needs of survival, and outdoor adventures empower individuals to learn about themselves and others in a truly one-of-a-kind learning experience. Learn how we create natural living spaces that meet social, emotional, cultural needs and make practical decisions about designing and creating functional pleasing environments. What is a meaningful life? Retreat experiences at the Edge provide opportunities for introspection, creative projects inspire personal expression, and facilitated dialogue engenders a shared understanding of issues and concerns for people living in the 21st century. What are the principles and procedures that distinquish an eco-tourism experience? assess and design facilities, programs and activities that attract tourists. Develop principles of sustainability and resource management in eco-tourism that lead to a more sustainable relationship between environment, society and economy. Study the ecological impact of human activities in forestry and tourism, discover how these impacts are mitigated. Develop practical solutions to environmental and resource management issues by participating in partnership projects between local tourism industry and forestry.